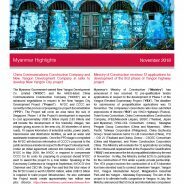 Metro Wholesale Myanmar Limited (“Metro Wholesale Myanmar”) a Myanmar joint-venture company owned by Frankfurt-listed Metro AG (85%) and Singapore-listed Yoma Strategic Holdings Limited (15%) has secured a US$20m loan from the International Finance Corporation (“IFC”), the investment arm of the World Bank. Metro Wholesale Myanmar offers one-stop wholesale food service distribution for hotels, restaurants, retailers, and offices. Yoma Strategic Holdings (“Yoma”) has raised Bhat 2.3 billion (or approximately US$70 million) from Thai institutional investors in what is the company’s first corporate bond raising. SGX-listed Yoma Strategic registered the issuance with the Securities and Exchange Commission of Thailand on 25 January 2019. 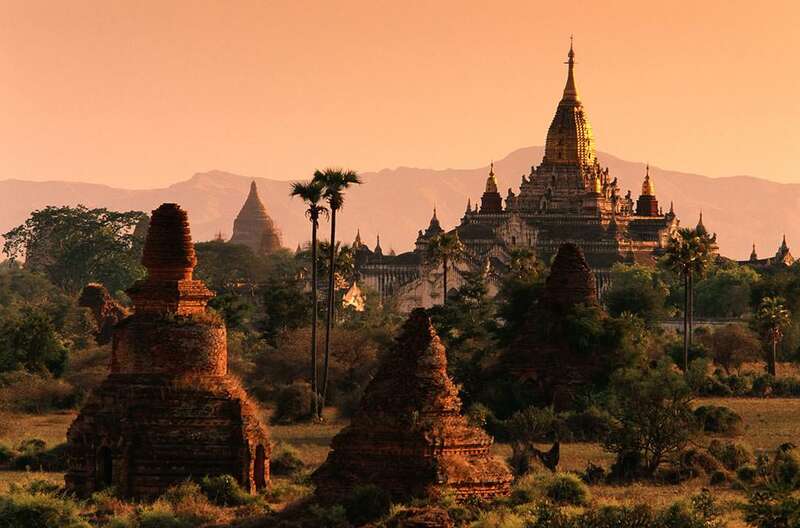 The Ministry of Planning and Finance (“MOPF”) has announced foreign insurers will be permitted to operate in Myanmar. Pursuant to MOPF announcement No 1/2019, foreign insurance companies will be allowed to provide insurance, underwriting and insurance brokerage services. 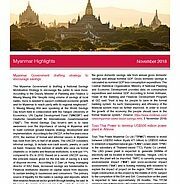 The MOPF has invited interested local and foreign insurers to submit Expressions of Interest and/or Requests for Proposals to operate insurance businesses in Myanmar. 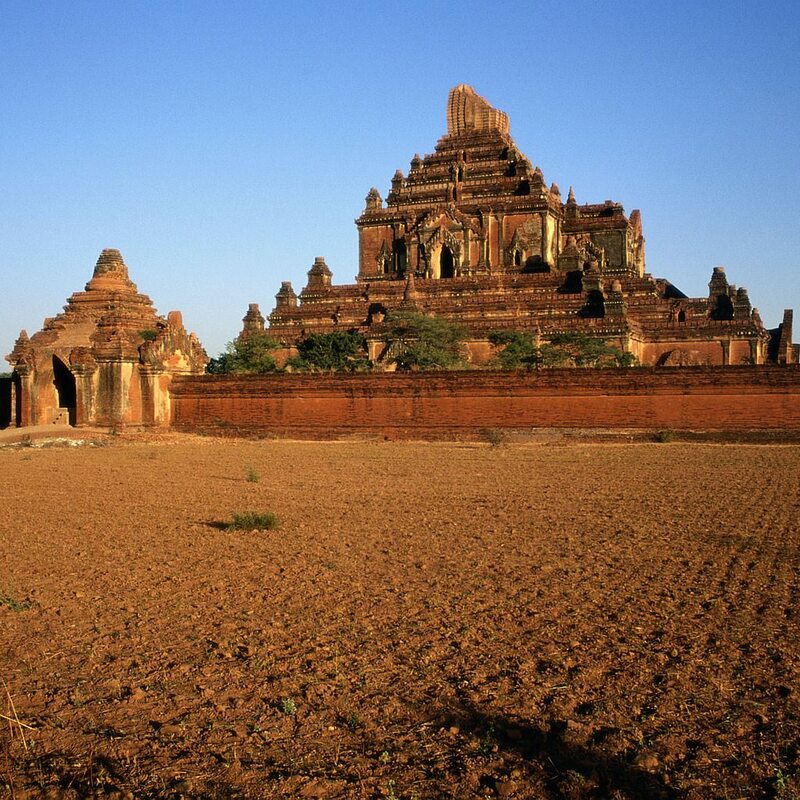 Myanmar’s Apex Bank Limited (“MAB”) has announced it will provide uncollateralized loans to Myanmar’s small and medium sized businesses (“SMEs”). The lending programme is being implemented in cooperation with German state-owned development bank KfW (formerly KfW Bankengruppe). Loan amounts will be based solely on companies’ income and expenditure and have an interest rate of 8.5%. 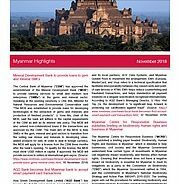 The Central Bank of Myanmar (“CBM”) has approved the establishment of the Mineral Development Bank (“MDB”) to provide banking services to small and medium size enterprises (“SMEs”) in the gems and mineral sector. Speaking at the opening ceremony U Ohn Win, Minister for Natural Resources and Environmental Conservation said “The MDB was established to provide loans for developing technologies in the extraction of gems and minerals and production of finished products”. Pursuant to Central Bank of Myanmar (“CBM”) Notification No. 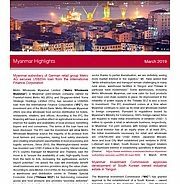 6/2018, foreign banks in Myanmar will be permitted to provide commercial services, putting them on a more equal footing with the countries local banks. According to CBM Vice-Governor. 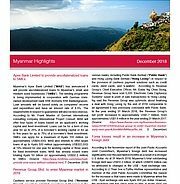 Myanmar’s mining industry is expected to grow in 2019 following an increase in both foreign and domestic investment in the sector. According to U Than Soe, deputy permanent secretary of the Ministry of Natural Resources and Environmental Conservation (“MONREC”), it is anticipated additional permits for small-scale mining will be issued over the next twelve months. 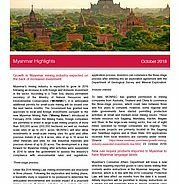 The Government has granted new approvals to local and foreign investments pursuant to the new Myanmar Mining Rule (“Mining Rules”) introduced in February 2018. 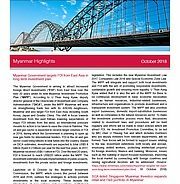 The Myanmar Government is aiming to attract increased foreign direct investments (“FDI”) from East Asia over the next 20 years under its new Myanmar Investment Promotion Plan (“MIPP”). 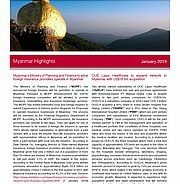 According to U Than Aung Kyaw, deputy director general of the Directorate of Investment and Company Administration (“DICA”), under the MIPP Myanmar will work on strengthening trade ties with its ASEAN neighbours, Myanmar and also target FDI from East Asia, including South Korea, Japan and Greater China. 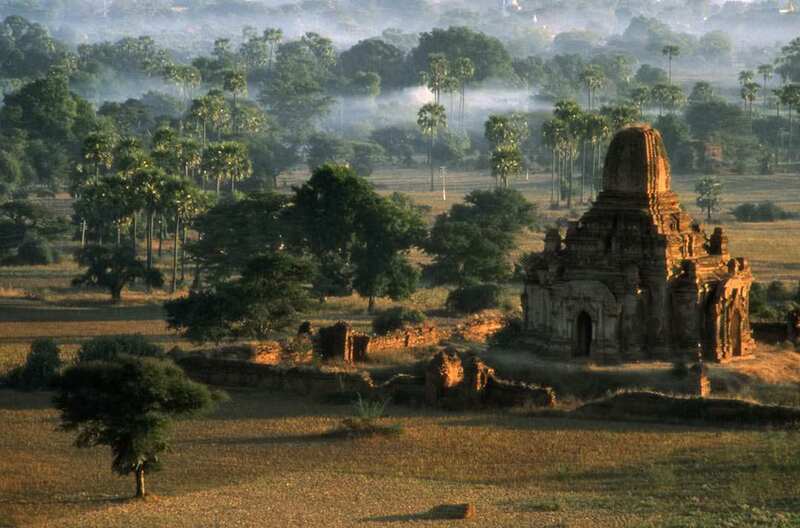 The shift in focus towards investment from the east follows lowering expectations of major FDI inflows from the west, as international pressure mounts for action to be taken to ease the crisis in Rakhine.